The show me state has a nice diversity of butterflies to show their visitors. In fact, Missouri butterflies hover around the two hundred species mark. 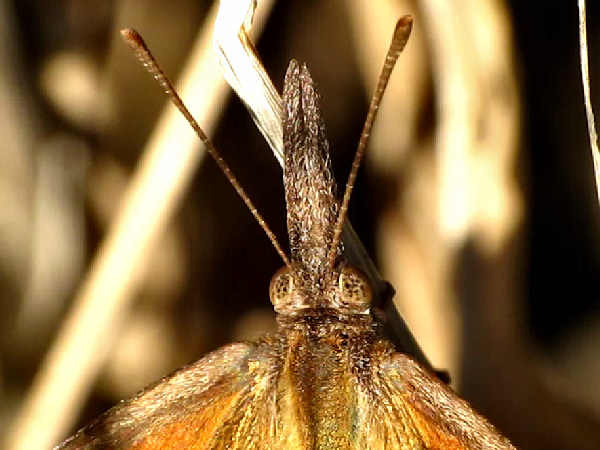 The question that Missouri tourists might ask, where to find Missouri butterflies, has been partially answered by the Missouri Department of Conservation. Natural habitats in Missouri that meet that description include prairies, glades and fens. A pasture of virtually a single species of non-native grass, while it will be sunny and open, will not supply the needs of most insects. The same can be said of most urban lawns, unless insect-friendly plants are included in nearby plantings. Going to Faust Park, part of the St. Louis County Parks system also partially answers the question. It is home to two different butterfly exhibits. The first is an indoor butterfly house that hosts tropical species. The outside butterfly garden hosts native species. There’s always something butterfly going on for adults and children on a year long basis. The picture at the top of the page shows a close up of an American Snout. They can sometimes be found in great numbers around the state, depending on how well their initial broods further south develop. Large numbers of the migrate north through the season for their second breeding. This page provides a list of Missouri butterflies along with a pictures of a few representative species. Visitors looking for additional butterfly identification information can press the green butterflies button. 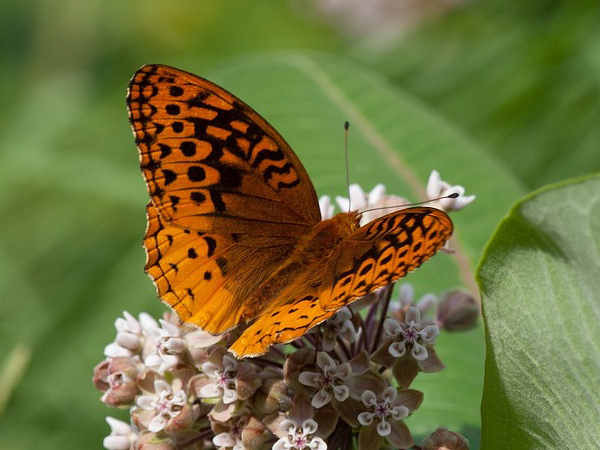 A nice variety of fritillary, checkerspot, crescent and wood nyph species means that visitors to the Show Me state can keep their cameras on so Missouri can show them their butterfly diversity. 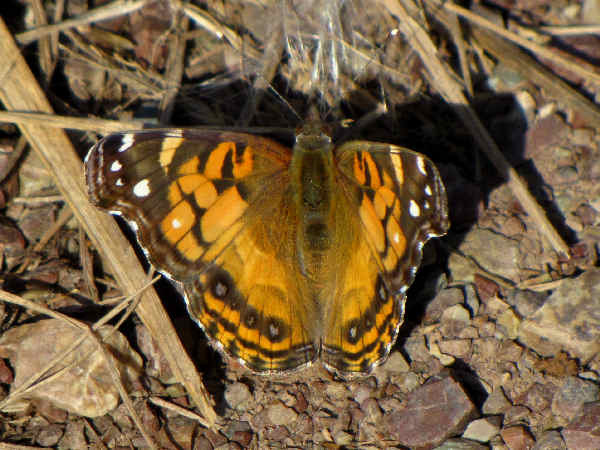 The picture shows an American Lady butterfly, one of the members of the popular Vanessa genera. The white dot on the top wing serves as a great field ID clue. It differentiates it from the Painted Lady. Both species (along with their genera partner the Red Admiral) are migratory species that arrive in large numbers in Missouri in the spring and summer to breed. Many of the Fritillary species have larvae that feed on violets, so they are common state wide. The Regal Fritillary is a species of concern because its Prairie habitat is dwindling. Seeing an Arctic Fritillary in Missouri is a rare occurance. The picture sows a Great Spangled Fritillary. 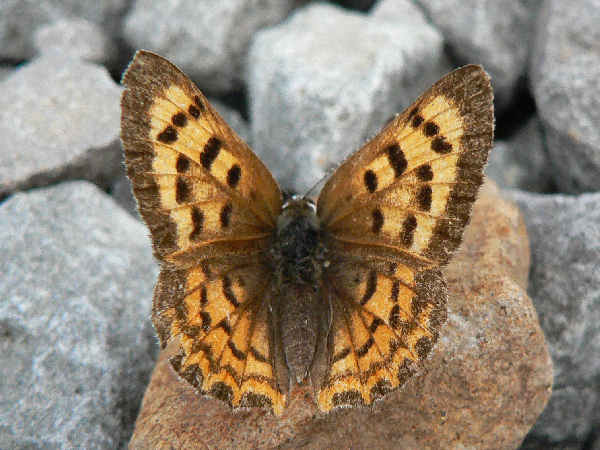 Without a side view of the butterfly they look similar to most of the larger Fritillary species look similar. Many of the Gossamer wing butterflies in Missouri are common species from coast to coast. In the Blue category, Azures and Silvery Blues fit that description. Great Purple Hairstreaks and Juniper Hairstreaks also fit that description. 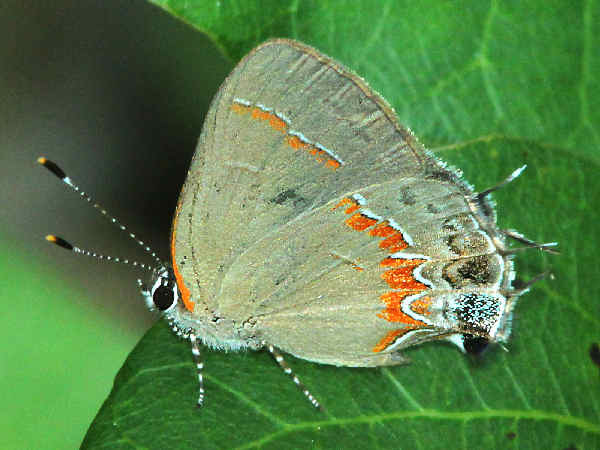 However, most of the Hairstreak butterflies in the state are common only in the eastern areas. 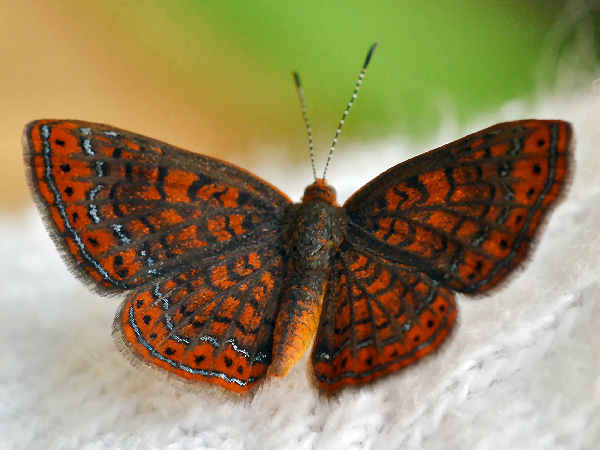 The Purplish Copper butterfly in the picture can also be found on the West Coast. A quick glance down the list of hairstreak butterflies in the state also provides a clue to their larval host plants. Oak and Hickory Hairstreaks are great examples. Look for them anywhere in the state that grows those trees. The picture shows a Red-banded Hairstreak. It’s caterpillars feed on a variety of very common plants including sumac and oak. It’s fairly common in most areas of the state. Pieridae is the formal name of the family that consists of the butterflies with white wings and yellow wings. 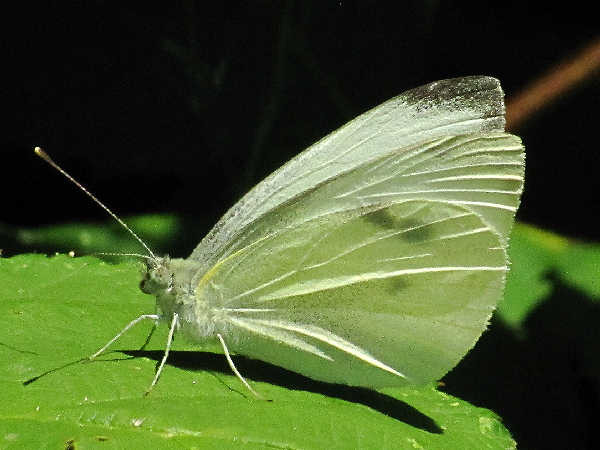 The picture shows a common Cabbage White butterfly. Their caterpillars feed on plants in the cabbage family so they are very common in residential areas around the state. The one dozen yellow butterflies in Missouri insure that they can be seen flying in fields, forests and residential areas throughout the entire season. Dainty Sulphurs and Little Yellows are the smallest of the group. Many of the other Sulphurs are roughly the same size and difficult to identify without a good picture. 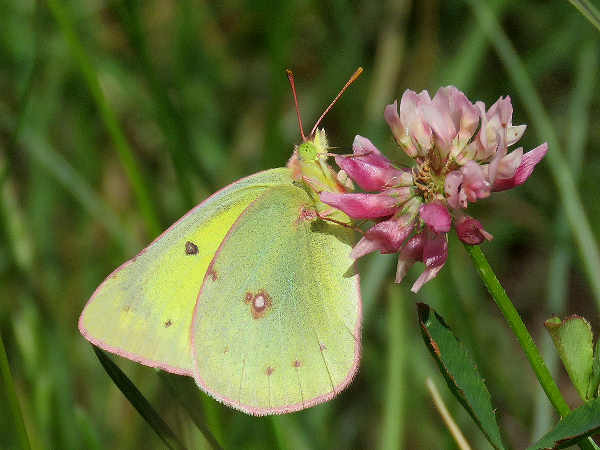 The picture here shows a Clouded Sulphur butterfly. It is common state wide. Missouri shares all of the Swallowtail butterfly speceies common in the Midwest, and probably throughout the eastern portion of the United States. 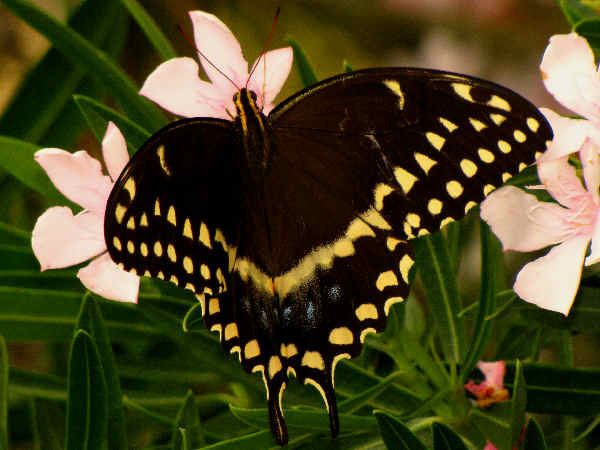 The picture shows the very common Palamedes Swallowtail. It’s one of five species with dark wings. Look for the stripes on the abdomen for a better identification clue.